I’ve recently come back from a week at New York, and woww was it a fun time. I’ve never been to New York to sightsee on my own, so this was a huge, eye-opening experience. I got to meet up with a lot of friends – both old and new – and eat delicious food that you can’t find anywhere else in America. 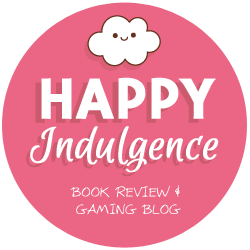 In this recap, I’ll be splitting my week up to two blog posts – one here and one on Happy Indulgence – and these will subsequently be split up between days. This will also be a fairly specific recap of my own experiences, so please skim if you don’t care about this stuff. Seriously, I won’t blame you. Without further ado, let us begin! 5:00 AM flight. In my excitement, I kind of only slept two hours. Oops? What’s more fun than going to New York? Finding people you know there! On the way to my hotel, I coincidentally met a high school friend who was on the same flight as me. What a small world! He was a year above me, but we were chill friends due to different organizations and being in IB, so of course I had to say hi. We both had a free day before our respective activities (me with book stuff, him with United Nations stuff), and he became my impromptu tour guide for the day. We visited Grand Central Station, had a photoshoot at Times Square, and walked around the World Trade Center area. And this was only five hours upon landing in New York! By the time I checked into my hotel, I was already wiped. How could I survive another 5 days of this? I met up with Mishma from Chasing Faerytales in the evening, where we immediately hit it off. She was so tired after a 20+ hour flight from Sri Lanka, so we celebrated our meeting with chicken nuggets from McDonald’s and prepared for the next day. The whole day, I had Empire State of Mind (sung by Jay-Z and Alicia Keys) stuck in my head. THE HYPE WAS REAL. 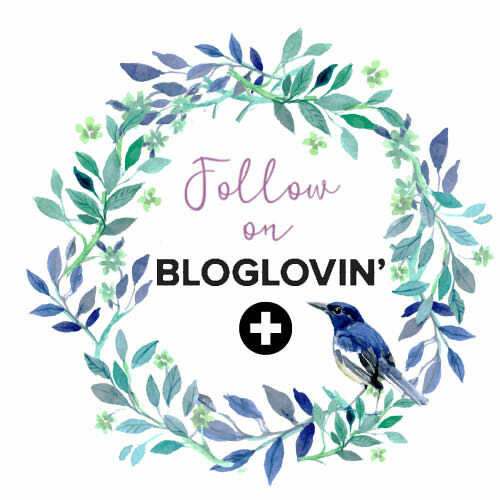 Day 2: Blogbound and Meet-Ups! After sleeping in and checking out of our dinky hotel (seriously folks, don’t stay at the Hotel Penn in NYC. There was a mouse in my room and the people at the desk were like, “that’s not uncommon,” after giving us a new room. Absolutely ridiculous. ), Mish and I headed to our next stay: the Hilton at the Fashion District. Talk about an upgrade! From there, we went to explore the city. Of course, we had to stop by Times Square for a photoshoot, as well as stopping by the Strand Bookstore. We met up with Brittany from Brittany’s Book Rambles at the Flatiron Building (fun fact, Mish can literally spot book people from a mile away) and she introduced us to some yummy street eats. It was also Brittany’s birthday, so she was looking especially FLAWLESS. Mishma had to go to the Bloomsbury tour that the Blogbound folks were hosting, while I hung out with Brittany. We dished some tea, had some shakes at Shake Shack, and generally caught up, since the last time I saw this gal was a couple years back at ALA. Brittany also led me to Koreatown, where I stopped by a kpop store (featuring BTS toothbrushes) and picked up some Korean food. Yums all around! Afterward, I headed back to the hotel and met up with the rest of our roommates: Nori from ReadWriteLove28, Hazel from Stay Bookish (omg her zine is amazing, it’s a must-read), and Joey from Thoughts and Afterthoughts. It was my first time meeting everyone, and SUCH an amazing experience! Smiles all around! It’s always exciting when you see someone who you’ve been talking to for years, and this was the case with everyone for me. We dropped off our bags and headed to Blogbound shortly afterward. If you don’t know what Blogbound is, it’s hosted by Julianne (on Twitter, @DailyJulianne) and Nicole (on Twitter, @nebrinkley) and takes place at a library for several hours. There are a couple of panels, and then a speed-date with authors. Check out the site here! They host it before every BookExpo/BookCon. The two panels I sat in for were so much fun. (And featured so many familiar people!) The first one talked about Slump-Busting, and it was interesting to see everyone’s perspectives on how they got rid of slumps. I especially appreciated the messages on putting your own health first! The next panel was not only entertaining, but eye-opening! Joey was the moderator for several industry professionals (well, editors and booksellers and authors) to talk about “Being a Bookish Cheerleader.” His questions were sooo thoughtful, and the answers were super well-rounded. (Shout out to Joey for being such a pro at these things!) There was a turn in the panel from cheerleading to the focus on marginalized stories, which I also really enjoyed. Thank you so much Julianne and Nicole for organizing such a fun event! I had an amazing time, and can’t wait for the next one. This blog post is already becoming huge, so in efforts to save space I’ll quickly recap Wednesday. We picked up our badges at Javit’s Center (it was sooo beautiful!) and explored the floor a bit. Afterward, we headed to lunch at Dos Toros with Jon (on Twitter @staygoldjonny), who is a former blogger (congrats again on graduating early!!). Joey has 0 navigational skills so we ended up running across several streets and avenues to get to the right destination. At least I can say it was part of the sightseeing experience? Later on Joey went to the NOVLtea party while the rest of the group chilled. I stopped by the lovely New York Public Library (how do they keep it so clean! ), and headed to meet Brittany again. Brittany showed Mish and I around (and was joined by Melissa from Live Love Read YA!). We stopped by Books of Wonder (so awesome to finally see this indie bookstore where I frequently preorder books), the Breads Bakery (I basically survived on their croissants during BookExpo), and Amarino’s for that lovelyyy rose ice cream. I did it for the gram. After Joey (finally) found us, Brittany took us to the Brooklyn area that was absolutely lovely, and we had New York pizza at an intimate family-owned restaurant. 110% recommend! Brittany can’t steer you wrong with New York eats! Day 4: My First Book Expo! While the whole convention was a blur, it was sooo exciting meeting authors that I usually admire from afar. It’s easy to forget that they’re regular people like you and me! (Well, not exactly regular since they manage to create magic with words.) I also met up with amazing influencers, which was another wild ride. Hurrah for impromptu photo shoots while waiting… in line! Afterward, a bunch of us headed to a Malay restaurant to celebrate by eatinggg. (That’s how we do it among Asians.) The group was: Joey, Mish, Hazel, me, Linh (on Instagram @woodlandspirits), Alexandra from Twirling Pages, and Alexandria and Yingchao from The Books Buzz. As we call it, #invASIAN. And of course, photoshoots happened. Thank you for sticking along with this blog post! In return, I have a giveaway planned for INTL readers. Head on to the Rafflecopter link to win a preorder of a Young Adult fantasy that comes out Fall 2018 or later. Preorders are an excellent way for publishing houses to predict how well the book will sell and how popular it will be so… who’s ready to support some fantasy reads?! Young Adult fantasy book must release Fall 2018 or later, as this is to encourage preorder sales. Book must be valued at a maximum of $20 USD on Book Depository. INTL giveaway to wherever Book Depository ships. The next part of this saga will arrive on Happy Indulgence soon! I’d pick Wildcard in case that counts??? ALSO. SLDKFJLSDKJF IT LOOKS SO COOL AND I WISH I COULD HAVE GONE TO BOOKEXPO. Yessss I’m always in awe at how the book community from all the ends of the world can meet at events like Book Expo! Loved all the food updates and so glad you got to do some sight seeing as well. Well I am v jealous. You look like you had the best time! I’m so happy that you got to meet bloggers irl and that they were all lovely. I have never gone to one of these big book conventions, but they look amaaaazing. Also reading this made me hungry. One. I completely adored stalking your insta stories during BookExpo! It looked like you had so much fun. Two. I’m sure Britanny is like the best tour guide ever and knows all the hot places to eat. I need to find her next time I’m in NYC! Three. I love that Blogbound exists! I think it’s a great way for bloggers to carve their piece out of the book industry, especially with BookExpo’s move away from book bloggers! So jealous of everyone that went to BookExpo and/or BookCon. I hope i can go one day! Oh and I would choose The Light Between Worlds by Laura E. Weymouth! I love these detailed posts, it makes me feel like I’m part of the experience even though I cannot attend, thank you!! hhmm, I think I might choose King of Scars, but there’s probably a ton of interesting fantasy YA coming up so I def need to check that out, to keep them in mind! I’d love to go to something like this one day! I’d pick Girls of Paper and Fire by Natasha Ngan, it sounds so amazing and I’m in love with that cover! BookExpo/BookCon looks fun. If I win, I would chose Kingdom of Ash by SJM. I’m not sure what I’d pick, maybe A Blade So Black by L.L. McKinney. I’d choose Kingdom of the Blazing Phoenix! Thank you for the awesome giveaway!!! And I’m so happy to read you had a fantastic experience there!!! Getting to chat with so many bookish friends and great authors must have been amazing!! !